Probably you recall the "mysterious bonus" from the Training Event in a previous post. Now the mystery is solved! 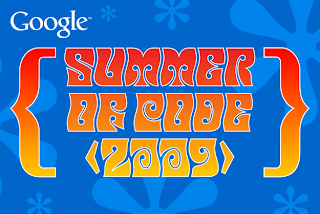 We are introducing two Google Summer of Code Projects in the EGEE'09 Conference. Google Summer of Code is a global program that offers student developers stipends to write code for various open source software projects. This program has worked with several open source, free software, and technology-related groups to identify and fund several projects over a three month period. Since its inception in 2005, the program has brought together nearly 2500 successful student participants and 2500 mentors from 98 countries worldwide, all for the love of code. Through Google Summer of Code, accepted student applicants are paired with a mentor or mentors from the participating projects, thus gaining exposure to real-world software development scenarios and the opportunity for employment in areas related to their academic pursuits. In turn, the participating projects are able to more easily identify and bring in new developers. 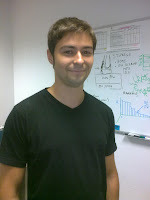 Best of all, more source code is created and released for the use and benefit of all. Description: The goal was to develop a web interface with a geographical representation of the Gridway resources using a GoogleMaps mashup, including useful information such as statistics of usage, workload, pending jobs, queue size, etc. It also contains options so the user can filter and select which information is relevant (where are the user's active jobs, or what is the situation of the submitted jobs...). Both of them will be explained in detail during the Fusion Activities in the Grid and Related Projects Session that takes place today. The idea is to show the Fusion Community the many possibilities for application porting/use onto the Grid these new Gridway improvements offer. By the way, Alejandro and I would like to congratulate both Carlos and Srinivasan because of their hard work during this summer. Success is yours!